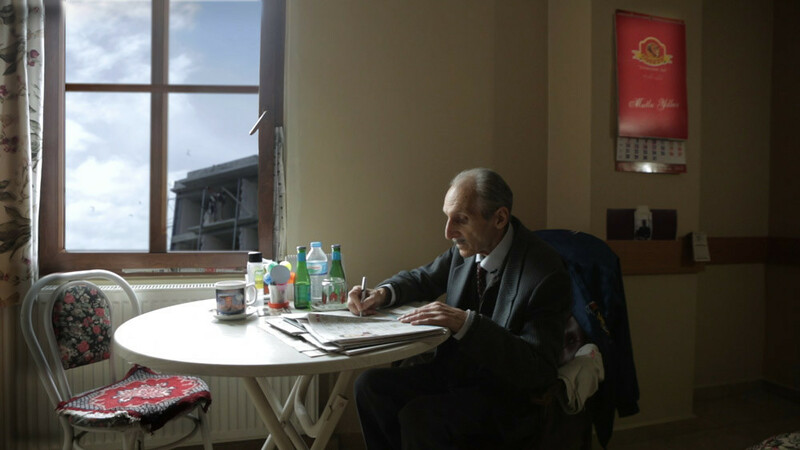 This haunted reverie drops us inside an Istanbul retirement home, where the battle-scarred residents bask in the camera’s attention. A creaky- voiced woman confides her personal account of the Armenian genocide. A sweetly deluded pianist performs a composition before confessing his love. A blind photographer fiddles with his flash as he points his own camera back at us. The film finds hypnotizing rhythms in the residents’ limbo-like state. Meanwhile, outside, ominous construction equipment transforms the land. Director/cinematographer Shevaun Mizrahi was selected as one of Filmmaker Magazine's "25 New Faces of Independent Film" for 2015. She received her B.A. in Cognitive Neuroscience and English Literature at the University of Pennsylvania, and went on to get her M.F.A. at the Graduate Film Program at NYU. Before shifting to film, Shevaun was a Presidential Scholar in the Arts. Her photography has been exhibited at the Smithsonian Museum of American Art and the Corcoran Gallery of Art. She worked as an assistant to cinematographer Ed Lachman and was also a fellow with Marcie Bloom (Sony Pictures Classics). Her first documentary feature Distant Constellation was selected for the IFP Documentary Lab and the IFP Project Forum (New York), the !fdoclab (Istanbul), the Catapult Roughcut Retreat (San Francisco), and received support from the Turkish New Film Fund (Istanbul).